Barring any unforeseen setbacks, this status could very well mean that Limp Bizkit’s Young Money debut will arrive on shelves by Summer 2013. Considering the reaction had towards “Lightz,” I’m not sure the world is ready for more Bizkit. What do you think? Comment below and let us know your thoughts! Look at Linkin Park. They changed their sound lately and still manage to get number 1 albums, even if fans sey they sold out. 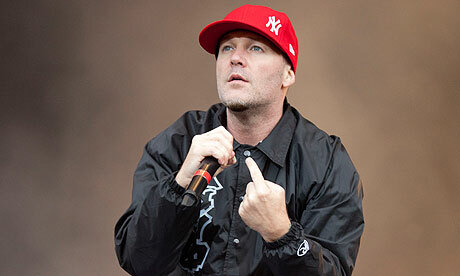 I think Limp Bizkit might do better at the charts this time around, with their new label and new sound. Every band tries new directions sometimes, sometimes it works, sometimes it doesnt, But let us give them a chance and see what they will bring us. Who knows, we might even be suprised.